A bankruptcy filing delivers a devastating blow to your credit and FICO score. The good news is you don’t have to wait 10 years before you can qualify for a mortgage. 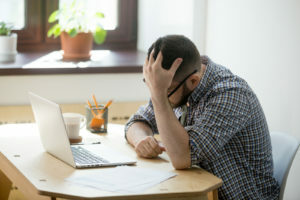 Many consumers who have filed for bankruptcy have been able to obtain a mortgage, although it is often at a higher rate than someone qualifying for a prime or “A-paper” loan. No mortgage lender is going to ignore the fact that you’ve filed bankruptcy. He or she will likely want to know the cause of the filing. Your lender will be particularly interested in whether the same situation could happen again. Your chances of being qualified are much better if your bankruptcy was caused by a single event such as a loss of employment or a death in the family, than if it was the result of just spending too much. If the bankruptcy resulted from a single event, it is important to show your lender paperwork describing the incident, such as the layoff notice or death certificate. You may also want to bring in court documents to indicate when the bankruptcy was filed. Many people who file bankruptcy swear off credit altogether, however, it is important to re-establish your credit rating. Get a secured credit card or take on some sort of loan furniture, a car or a major appliance to demonstrate that you are able to make timely payments. Make sure you are making other payments (utility bills, cell phone, etc.) on time as well. You won’t turn things around in a year but your credit score will improve over time. A bankruptcy is bad enough. There’s no need to add to your troubled credit history with errors on your credit report. Get a copy of your credit report from each of the three major credit reporting agencies: Equifax, http://www.equifax.com; Experian, http://www.experian.com; and TransUnion, http://www.tuc.com. If you encounter any errors, inform the CRA in writing what information you believe to be inaccurate and request a deletion or correction. Even sub-prime lenders won’t risk loaning you money for an opulent oceanfront mansion. Think small when the time comes to look for a home because smaller homes often mean smaller mortgages. Take careful steps as you rebuild your credit. If you follow these suggestions, you’ll see there is life after bankruptcy. To find out more feel free to call us at 1-888-848-1880 to see if we have mortgage options for you.